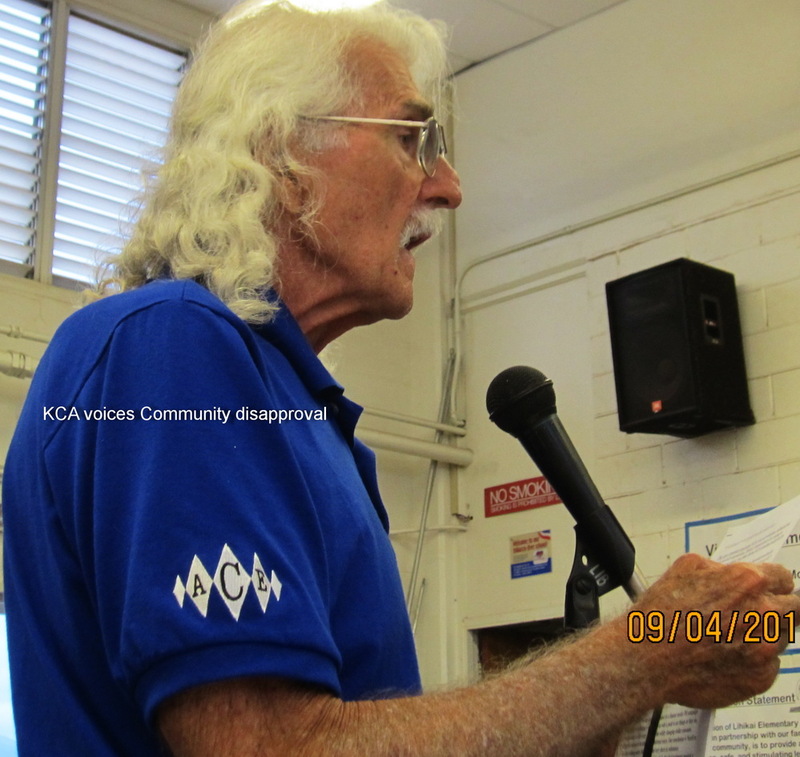 Why Can’t We Achieve Safe Bicycling in South Maui? 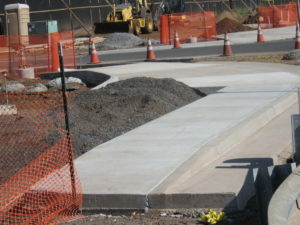 Does Bike Path Delayed Mean Bike Path Denied? In This Case, It Seems So. There are a few designated locations for bicycling. The most familiar is the “bike lane”, which generally is marked off by a white line painted on the right side of a roadway in the shoulder area of the lane or road. Sometimes there is signage. Cyclists should stay on the right side of the white line and travel in the same direction as motor vehicles. There is another term for a labeled bicycling area which is newer and very unfamiliar to many. It is “sharrow“, derived from “sharing the road”. The area is identified by a shield-like figure painted on the road surface to supposedly alert everyone that cyclists are sharing the road with motor vehicles. Does this offer cyclists security, or just a false sense of it? So while there are legal requirements for both of these terms, obviously neither offer any physical protection for the cyclist. A motor vehicle with a careless, less skilled or distracted operator means all that cyclists should beware while biking in those identified areas. We also have the terms “bike path” or “bike trail“, both of which are physically segregated from motor vehicles. These offer more safety when compared to the first two options. We have a very picturesque (if very short) bike path, managed by the County, running from East Waipuilani Street south to Halekuai Street. It is west or makai (“toward the sea” – trans. 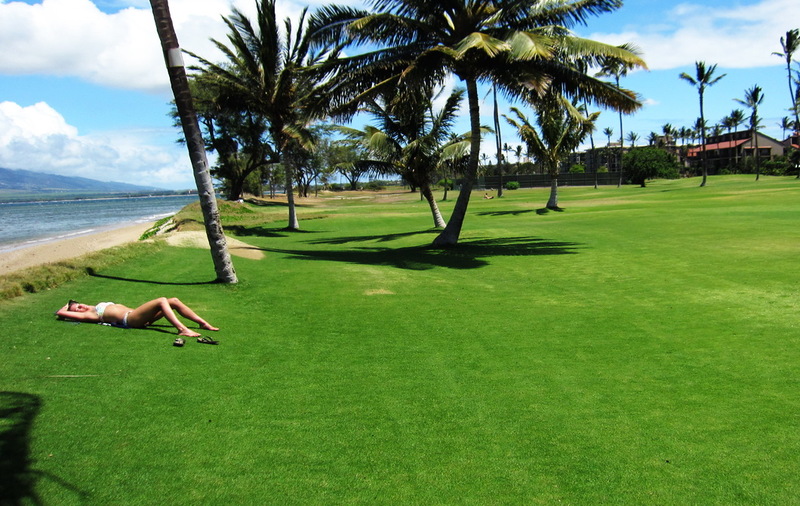 Hawaiian – KCA edit) of Liloa street. 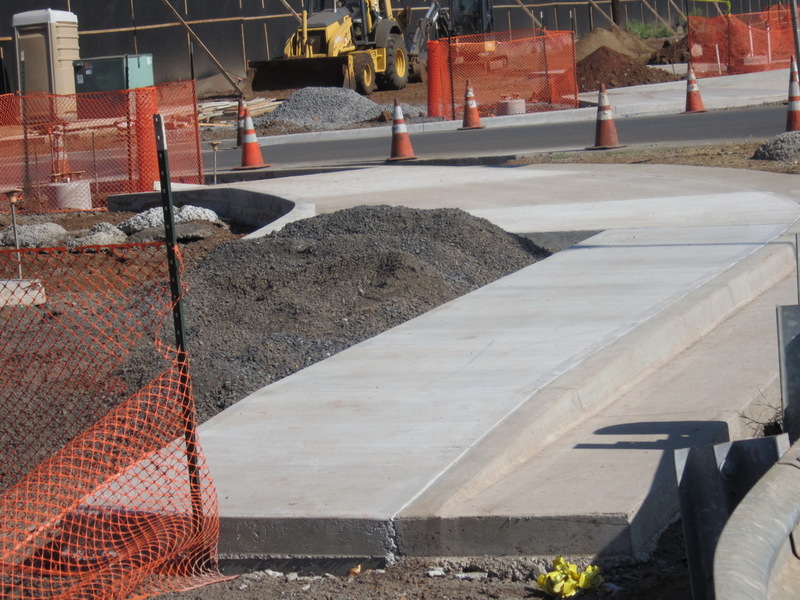 We also have a more extensive bike path, managed by the State, running parallel for the entire length of Veterans Highway (formerly Mokulele Highway). These are both two-way traffic paths. So why can’t we get more paths or trails? 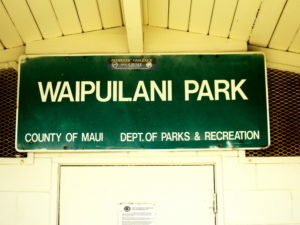 Here is why with the example of a bike path which has been planned for construction running toward or near Waipuilani park. While we have information from a very credible Maui bike advocate that this has been a consideration since we marked our years with a 19 and not a 20, we’ll just look at this century, as shown with a series of informational posts on this website. You see here it was to begin this year but it has not. But forget that. Our understanding is that due to the numerous delays from 2012 (probably much longer) the estimated cost is now over $6 million! So the original projected cost of $1.6 million in 2012 has now leaped to four times more in 2018. With the extreme price increase, coupled with forecasted sea-level rise the proposed bike path appears to be doomed. 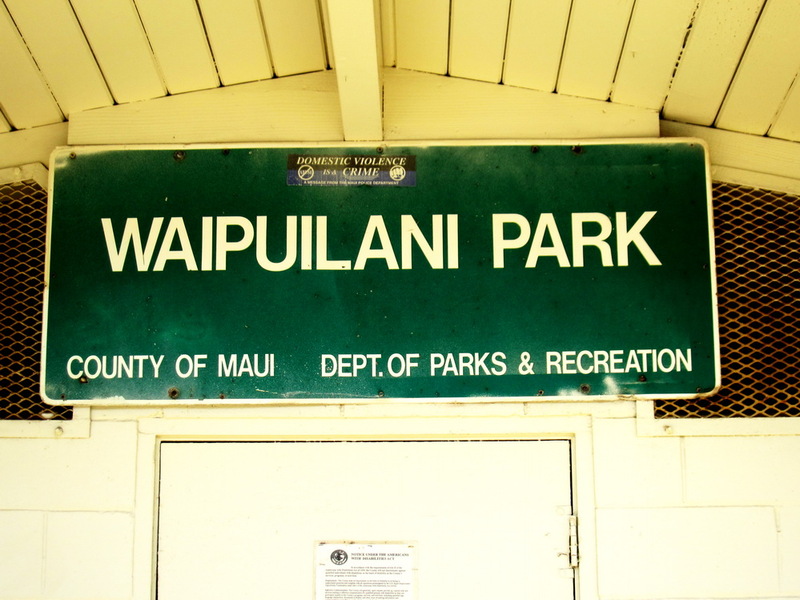 Ironically, the county just spent $2.5 million to purchase a plot of land at the north side of the Waipulani park to open up access. 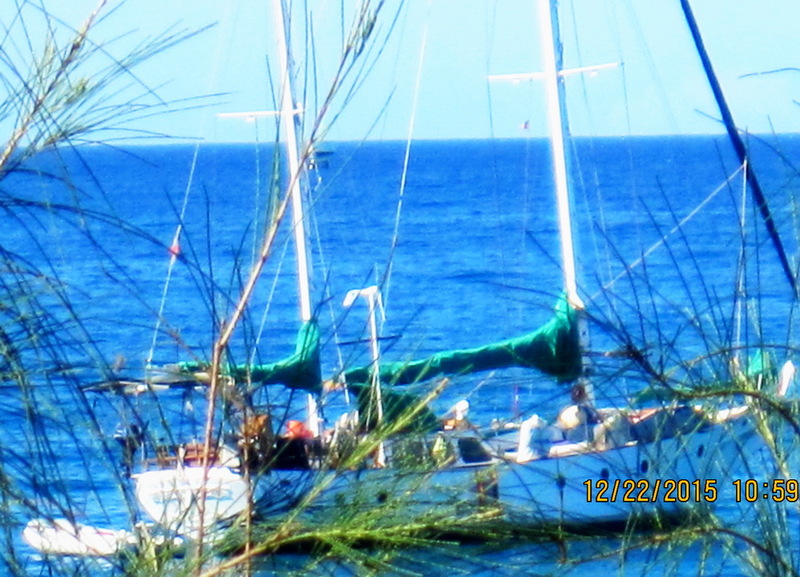 It seems the exceedingly long delay has denied the South Maui community a safe place to cycle.